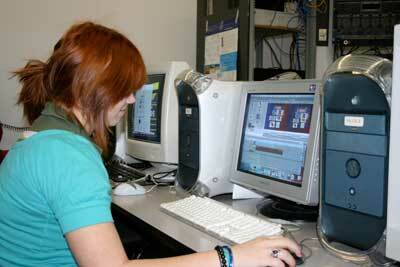 Multi-Media Technology is a multi faceted program that introduces students to the art and science of media. 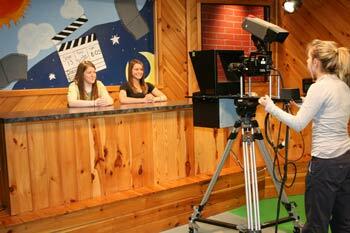 It covers topics such as photography, video production, television broadcasting, and computer based video equipment. Students learn to apply their skills to please clients through brainstorming, storyboarding, program treatments, and the various stages of production. Learning how to properly present an idea is also greatly stressed. There are many occupational positions necessary to create a professional style program. These are taught and practiced on a regular basis through a daily morning broadcast. 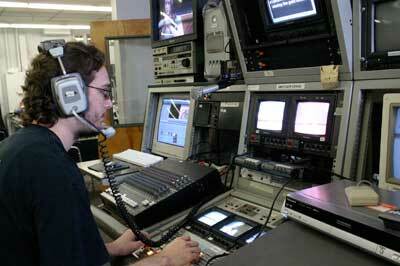 Several different techniques are utilized such as live, live to tape, and edited. The multimedia field is continuously growing to meet the demands of the media industry. These techniques are explored through television broadcasting, webcasting, and digital imaging. "There has never been a day in AV when I didn?t learn something new and exciting." "All four years that I have been in AV Communications, I have learned to make something so simple into something so great!" "I can confidentially say that I?m prepared for any career path that I choose to follow in the media."